This product contains two pages. One page contains vocabulary words and the second page contains the definitions. 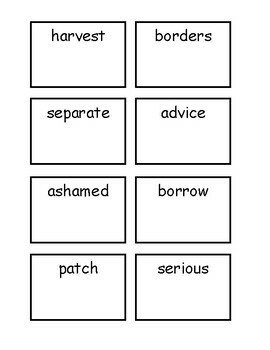 Print the pages on card stock and use as a matching game. 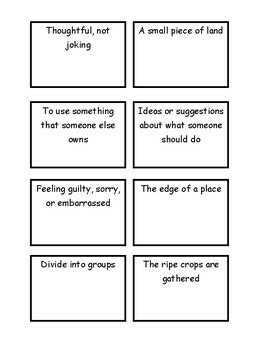 The vocabulary words are used in the story "Harvest Birds" in Houghton Mifflin Journey's grade 3 Lesson 8.